I thought it was Laura Leete from PPM that was running for fac trustee? At least that’s who I voted for. What happened? Last year people got Chris Sinclair and Chris Phillips confused. Very different people. A trustee from Education? Let’s the Gov pose as K-12 advocate. Representative of UO academics? You be the judge. Actually UO’s Ed School is very research active. But many would say the whole field is dreck. Bottom of the barrel SAT and GRE, at least last I checked. I’ll tell you this, the reasearch on “school choice” appears hopeless, at least to me. For all this ed research, is our students learning better? Unless the Senate supported her nomination, which only the members of the Senate and McIntyre know if that is the case (she asked for the record), it looks like the Governor made some sort of political decision. If the Senate didn’t support McIntyre, I find surprising that the Governor made a decision contrary to the vote of the Senate. This is the person that is going to represent the Faculty in the Board after all. Prof. McIntyre made public requests to the UO Senate and to the Governor’s office for letters about her nomination from the Senate and the faculty union. 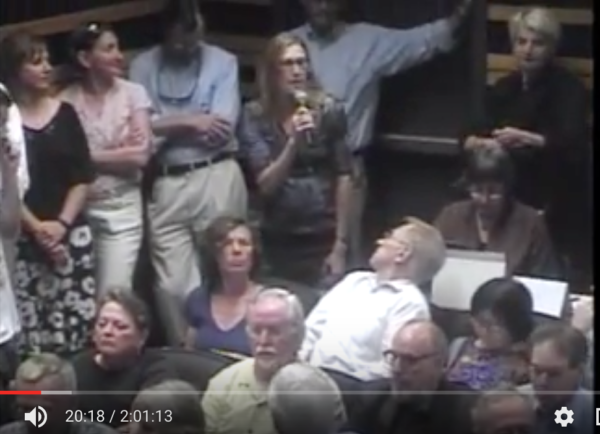 Asking for copies of what amount to your letters of recommendation is rather unusual – in fact she appears to be the only candidate for any Oregon board to have done so as far as the log goes back. It’s amazing what you can get away with at the UO if you’re linked to the School Psychology department. Maybe the rationale of ‘we need someone from CAS’ from a Senate composed of a lot of CAS people just didn’t seem authentic. Actually, it was the Board of Trustees who first called for the next faculty person to be from CAS. They then switched their support to McIntyre. To be honest, Dreiling’s letter is lame. It just says McIntyre isn’t appropriate because she’s not in CAS. There might be some benefit to having a rep from CAS, but it’s hardly mandatory. Letter just makes the union faculty come off as heavily siloed. Actually, the more I think about this, the worse it appears. It implies it would always be better to have a sociologist (CAS and Dreiling’s home) as the trustee than a finance prof (Lundquist). Don’t agree. I’m not sure it matters. Imagine if they selected a faculty trustee who cared about shared governance. We would still have an extreme minority — on the BoT — who are interested in sharing power with the campus community. We need to find a different path to democracy.